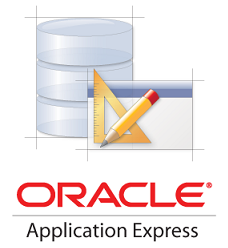 Oracle Application Express (APEX) is a web-based software development environment that runs on an Oracle database. It is considered a “Low Code” application. APEX permits developers to go from no code to low code to more code (https://blogs.oracle.com/oraclemagazine/from-low-code-to-high-control & https://apex.oracle.com/lowcode/ ). Oracle APEX is fully supported and comes standard as part of all Oracle Database editions. As of Oracle 11g, APEX installed by default as part of the core database install. Oracle APEX is a FREE development environment that runs on an Oracle database. If you have Oracle Database, you already have Oracle APEX. Originally called Flows. First released in 2004 as HTML_DB, APEX was created by Oracle, after the development of another product called Web DB started to diverge from the original vision. APEX shares some functionality with Web DB, however it was developed from scratch and there’s no upgrade path from Web DB to APEX. Early builds of Flow had no front-end so all changes to an application had to be made in SQL*Plus via inserts, updates and deletes. Oracle APEX can be installed on any Oracle database from version 9.2 or higher and starting from Oracle 11g it is installed with the database by default. Oracle APEX 5.0 and higher can be installed on all editions (SE1, SE, and EE) of the Oracle database, 11.1.0.7 or higher with a valid Oracle Database Technical Support agreement; it can also be used with Oracle Database 11g Express Edition (XE) but is supported through the Oracle Technology Network discussion forum, and not through Oracle Support Services. Oracle APEX can only be hosted in an Oracle database. There is no built-in version control and all components must be edited through the web interface. When you develop an Oracle APEX application for an Oracle database that is NOT Oracle Database Express Edition (free version), then you will need to license that database. When you develop a new Oracle APEX application and no version of the new application exists is in production, then you do not need to license the Oracle database; however, when your new application goes into production it will require a database license. Additionally, from that point forward, any Oracle Databases that you support, test, and develop will need to be fully licensed. Yes potentially. Oracle Discoverer was essentially an Ad Hoc query tool. Oracle Discoverer users will have the option to continue to use an unsupported version of Discoverer. However, you might find that the supported Oracle APEX app can meet many of the requirements you used Discoverer for, and possibly more. For one example, Oracle APEX can be a replacement for DBA’s which had used Oracle Discoverer to develop Ad-Hoc reporting. Many DBA’s find the application ‘Data Reporter’ included with Oracle APEX to be very useful in this aspect alone.